Whenever the subject of Harley Quinn has come up, I’ve never been ashamed to admit that I didn’t become a fan of the character until Jimmy Palmiotti and Amanda Conner took the reins back in 2013. Before then, I more so saw her as Joker’s henchgirl. But now, she’s her own woman with a rich supporting cast. Still, whenever any creative team oversees a specific title for a number of years, you can’t help but wonder what other writers and artists may bring to the table – no matter how much you love who’s in charge at the moment. So, even though I shed a tear when Palmiotti and Conner vacated the throne a few months back, I was ready to embrace change. In the time since, Frank Tieri has done a fine job as interim writer, but beginning this summer, Sam Humphries (Green Lanterns, Nightwing) will be taking over. Joining him will be John Timms on art – one of the regulars from the previous regime, mind you – so I guess a sense of continuity will be retained. 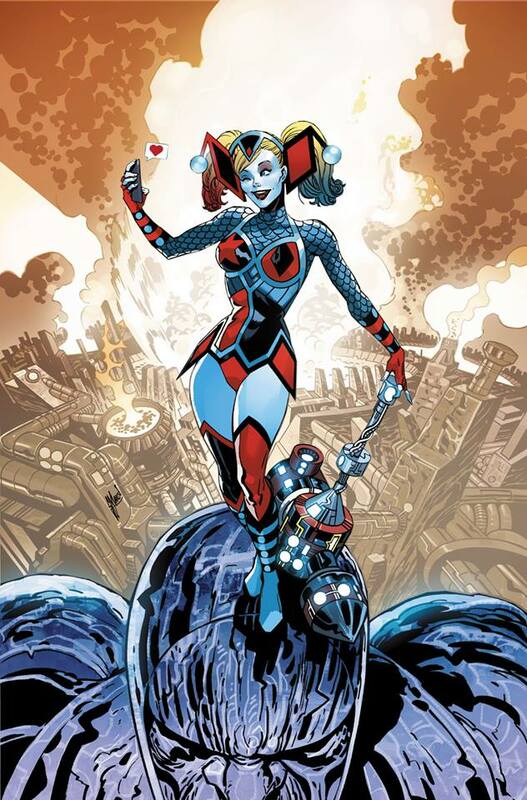 The new era kicks off with Harley Quinn #45 on July 4. Covers will be provided by Guillem March and Frank Cho, with one of March’s first examples seen above.